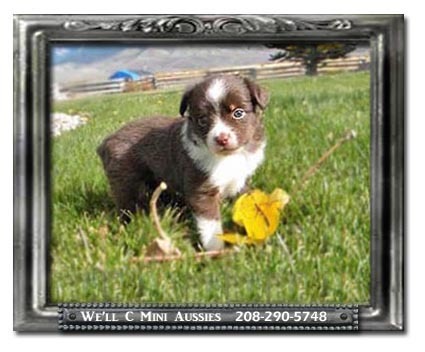 Suzzie comes to us from Yorton's Lil Aussies in Montana. She is sired by Lindsey's Grasshopper of Beartooth out of Lindsey's Suzie of Beartooth. 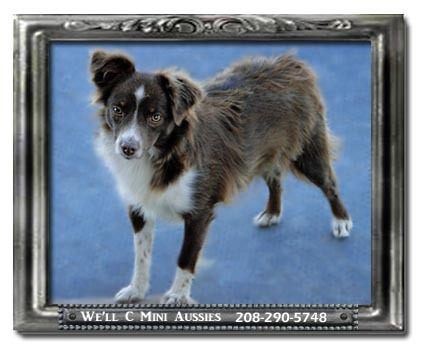 Suzzie is a registered red tri Toy Australian Shepherd. 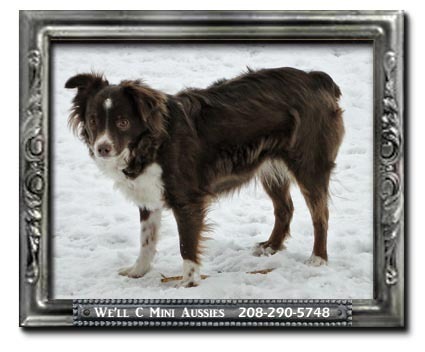 She was born September 15, 2014 and is registered with ASDR, American Stock Dog Registry. Suzzie is 12" tall and weighs around 15 pounds. Suzzie was a bit stand offish before her pregnancy. She is now very outgoing and looking for lots of love. Suzzie is fairly pack oriented and sticks to me like glue whenever she can. She has a the shortest coat out of our Mini and Toy Aussies. 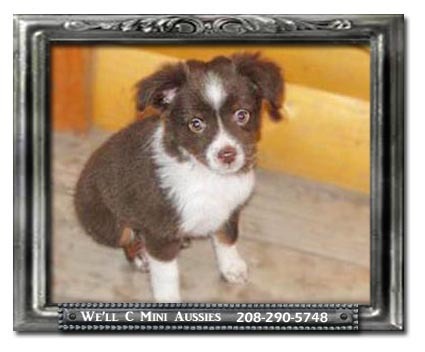 Suzzie's puppies should all be Toy Australian Shepherds. Suzzie is a sister to Deuce. 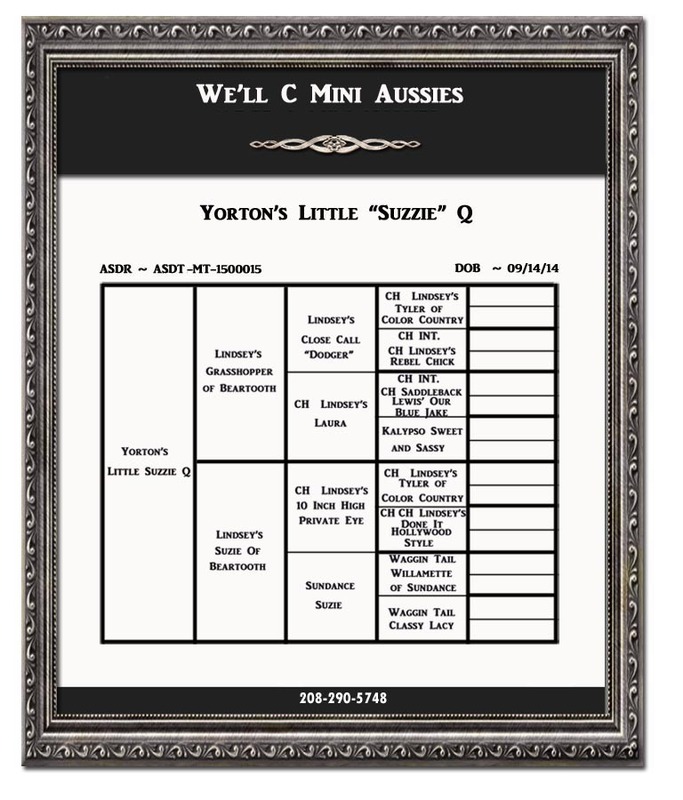 Below is Suzzie's slideshow, results from her genetic testing, and pedigree. MDR1 ~ Clear by parentage. Suzzie has not been tested because neither of her parents are carriers of the gene. Therefore, it is not necessary for us to test as we know she cannot have the mutation. PRA/ PRCD ~ Clear by parentage. Suzzie has not been tested because neither of her parents are carriers of the gene. Therefore, it is not necessary for us to test as we know she cannot have the mutation.